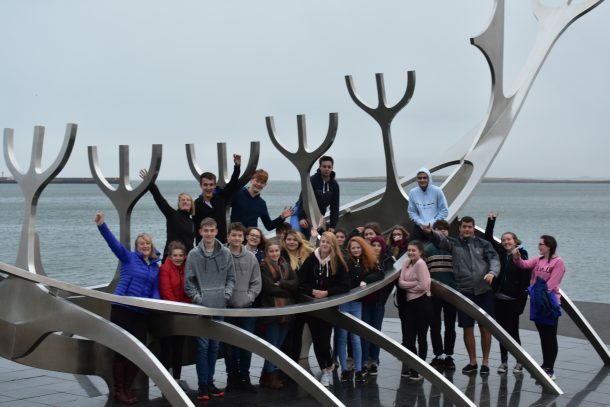 Twenty-three students and three staff visited Iceland in October 2018. It was primarily a science and geography field trip, but there was a chance to learn about culture, folk-lore, cuisine and so much more. 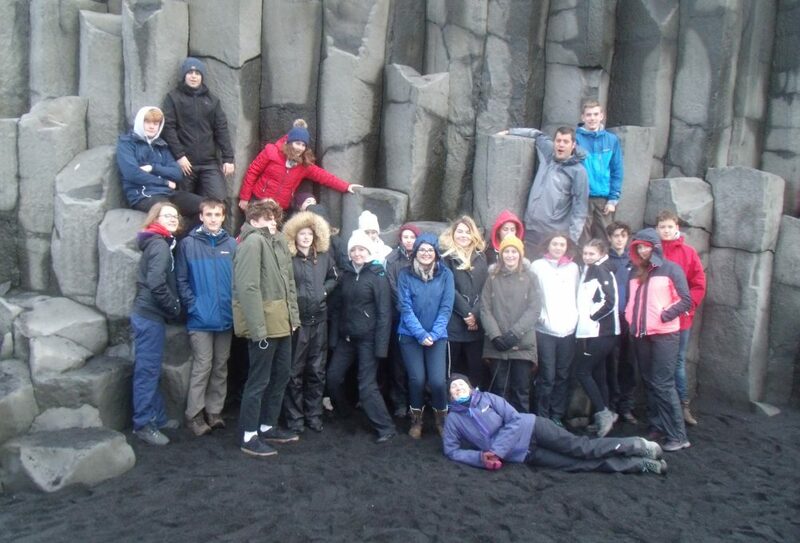 On our first day we visited some natural and man-made sites on the Reykjanes peninsula, whilst acclimatising to the low temperatures and wind-chill. 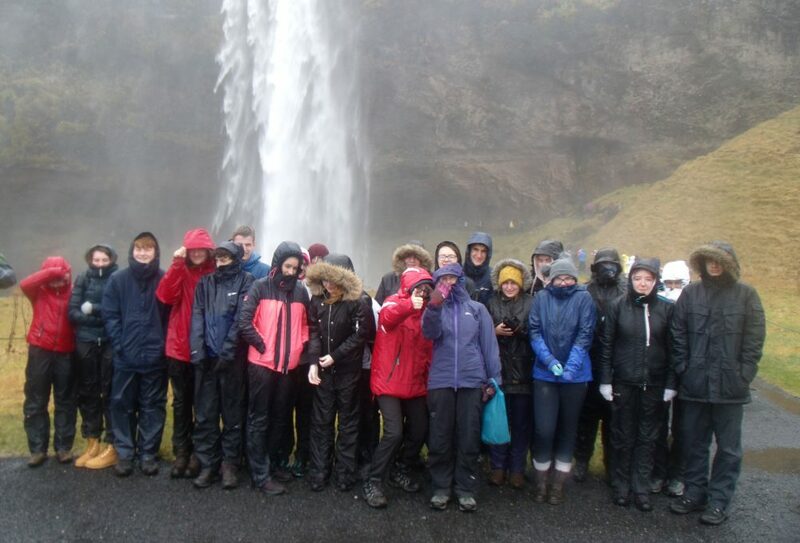 The mud pools at Gunnuhver kept us warm for a while, despite the sulphurous smell… Students got the first opportunity to look at some coastal geography and visit the area of the mid-Atlantic ridge, witnessing the effects of continental drift. Our first evening we (mainly) enjoyed eating supper whilst a man dressed as a Viking sang classic folk songs about Iceland. Some people got up early to jog along the harbour front and see a part of HafnarfJordur that wasn’t on our itinerary. The vast majority however, rolled out of bed to have toast and optional pickled herring for breakfast. Hellisheidi geothermal power station was one of the destinations that we visited and learnt how Reykjavik kept its streets free of snow in the winter and how it produced electricity. 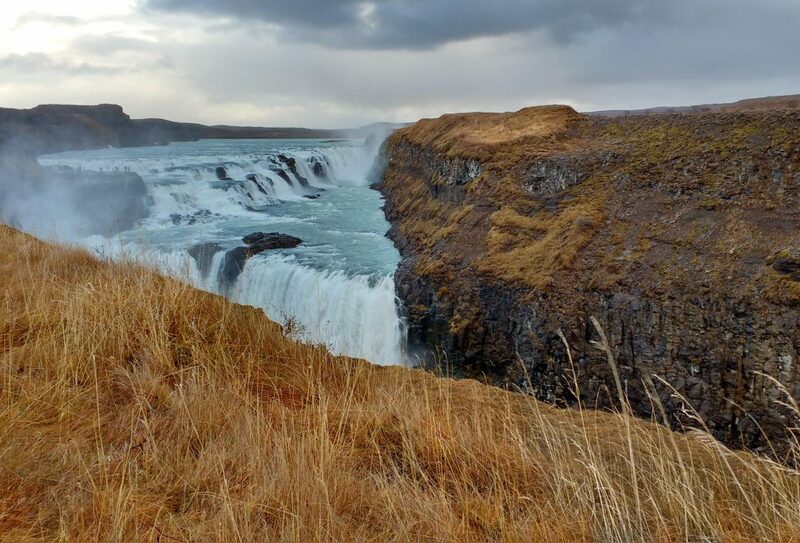 During the rest of the trip we visited waterfalls and learnt how they were formed, walked up to the toe of the ‘sun house glacier’ and saw how much it is currently in retreat. 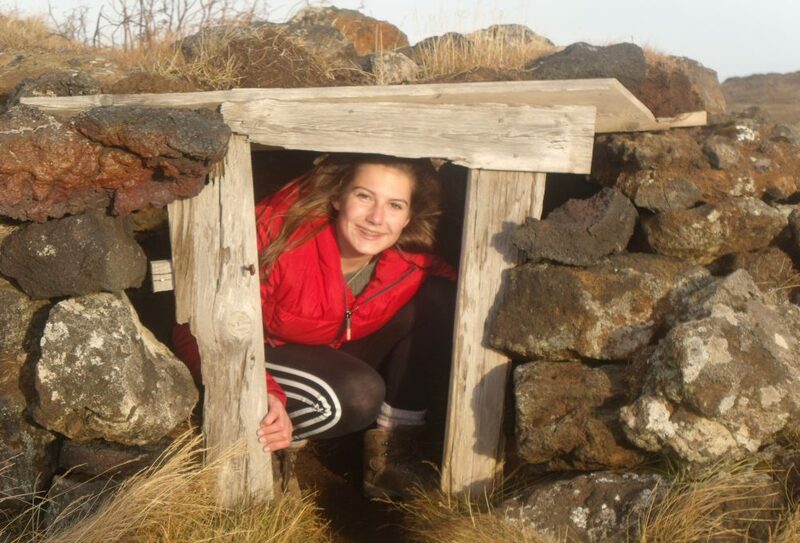 There were fantastic coastal formations at Vik, including arches, sea stacks and the famous basalt columns. A real highlight was the secret lagoon, an area where we could bathe in hot waters, and take a walk around (whilst getting pretty cold!) to view the natural hot springs emerging directly from the ground. 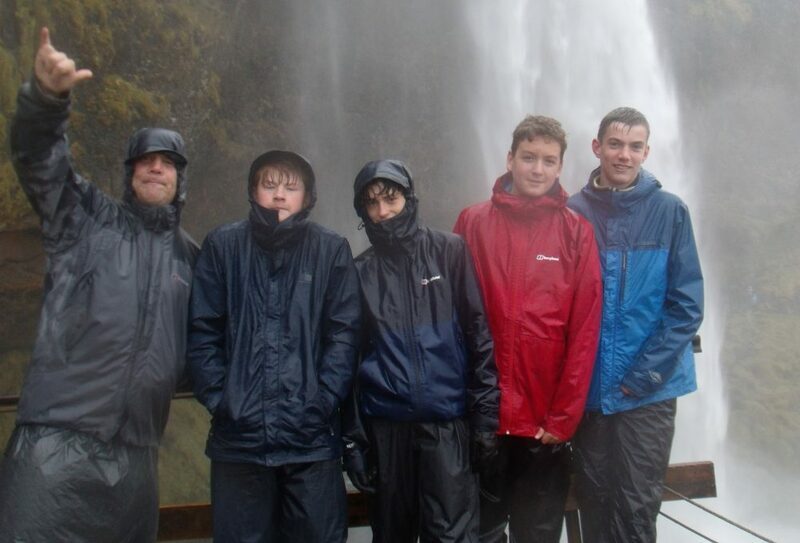 All in all, students rated the trip, although they said that the weather could have been better. Yes, but it could have been a lot worse! It was a pleasure to take such an amazing set of students, who showed maturity and time keeping amongst many other attributes; they were excellent representatives of the ethos of Launceston College.